If you’re like me, the spring weather has convinced you to buy a new pair of strappy sandals and your feet are already crying uncle. After being cushioned in socks all winter and protected in shoes, my tootsies are slowly adjusting back to being open to the air and strapped into place. But don’t let blisters cramp your style because after countless road tests, SheFinds has the anti-blister products that will save your feet… and your strappy sandals. Airplus makes some of our favorites. 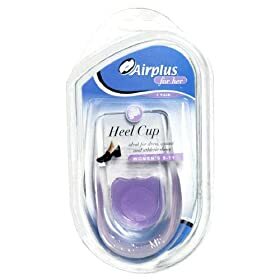 To put a little bounce in your step, try the Ball-of-Feet Cushions ($4.99) or the Heel Cup ($8.99), which add protective padding to keep your feet going all day. Band-Aid Active Friction Block Stick ($6.99) is a pocket-sized stick that you swipe on a hot spot and instantly get relief. It creates a protective barrier between your foot and the shoe, without getting sticky or slippery.